As we all know, running is an addictive sport. You start out with a parkrun or a 10k, but it’s still under control, you graduate to a half or a marathon, but you know you could stop if you wanted to. 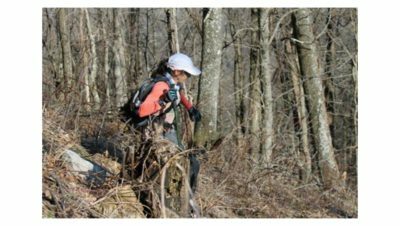 Before you know it you’ve signed up for an ultra, made a race bucket list, and eventually you may find yourself on the start line of a multiday ultramarathon. 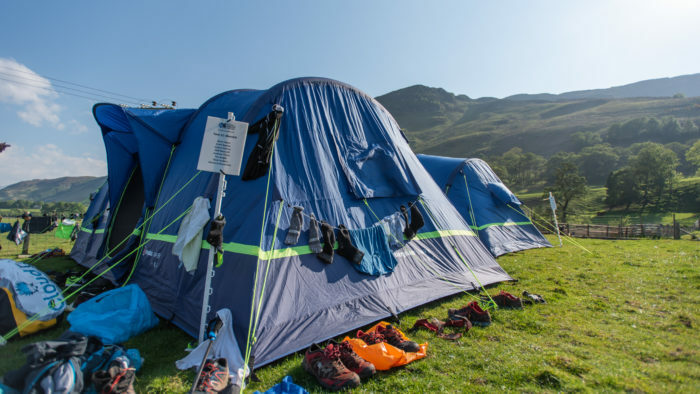 There are an increasing number of multiday races out there now and they can vary from 2 days with an overnight stop for food and sleep in school halls (such as the great XNRG events) to the full-on self-sufficient Marathon des Sables, where you’re responsible for carrying all your own food and kit and all they provide is a tent. 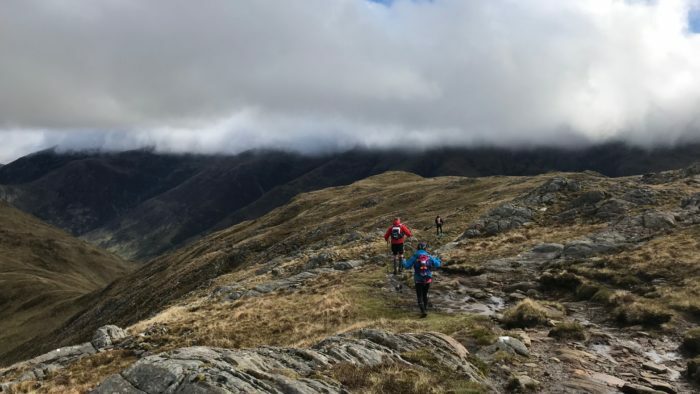 I just did my first multiday, the excellent Cape Wrath Ultra, which is an 8 day, 400km expedition race in North West Scotland (read more about it here). The organisers transport the whole camp each day to a new location and they provide tents and meals. 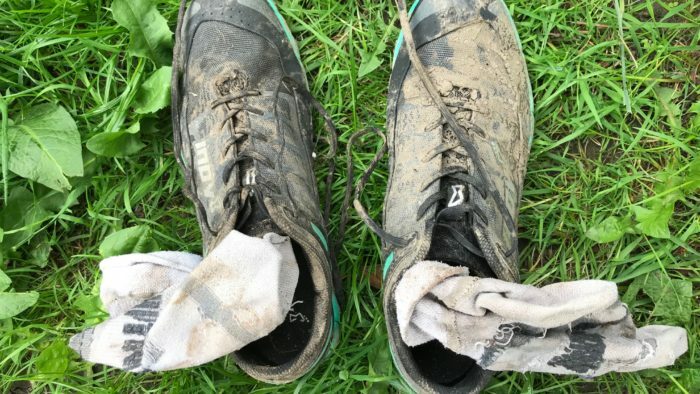 So it’s at the ‘luxury’ end of multiday ultramarathons, in as much as you can ever call not having a shower for 8 days luxurious. I certainly learned a lot from the experience, which I’m going to try to sum up. I found that you could finish a stage on your last legs, limp to your tent, hobble around, even get up to go the toilet at 1am and think ‘how on earth am I going to run on these sore legs?’, only to find yourself pretty much good to go on the start line at 8am. The restorative power of sleep and just lying down with your legs elevated during the evening was a real revelation to me. It was no coincidence that the race leaders were also the ones who had this down to a tee. It was also no coincidence that the days following the longer days, where you’d had less rest, felt much harder. 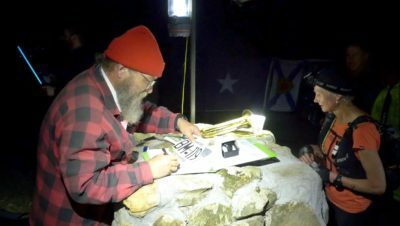 However, rest could be pretty hard to come by in a campsite with 175 competitors at close quarters, some of whom SNORED VERY LOUDLY. Earplugs were a must and I’d also say that the most comfortable sleeping mat and pillow you can manage to stuff into your kitbag would be very good investments. If things got really bad you could also use the pillow to smother a snorer. The amount of food you will ingest cannot be underestimated. I thought I’d taken plenty of hill food, but inevitably some stages take you much longer than you think they will, so I ran a bit low on a few days. And refuelling has to be a priority once you get back to camp. You’re going to be chasing your tail in terms of calorie deficit all week so it’s really important that you stay on top of it. There were a couple of days when I couldn’t face much food in the evening or at breakfast and the runs that followed were hard. More than anything this race taught me the importance of fuelling effectively pre, during and post-run. You can get away with it on an ultra; you can’t get away with it when you’re running ultras back-to-back. Linked to both of the above is the fact that recovery for the next day starts on your current run, both in terms of energy in and energy out. If you start thinking ‘I can’t face any more food/water and we’ll be back at camp in another hour’ you’re probably already impacting on the following day’s running. Likewise, if you think ‘I’m going to go out really hard today’ you will probably suffer for it the next day (or later the same day). It really is a long game and you have to think about starting the recovery process for the following day while you’re still running the current stage. Keeping on top of things like kit (eg making sure you’ve got dry(ish) socks), blisters, chafing, packing your backpack with the right stuff for the following day was really important. Small things can escalate quickly if you don’t deal with them. A few minutes spent rubbing some cream on something or taping a blister can save an entire day of pain. 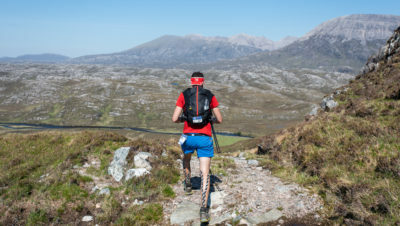 I went into Cape Wrath Ultra thinking ‘I normally feel quite bad after running an ultra, so what will it feel like to do that day after day?’. I imagined a straight line plotting my increasing leg pain and ultimate demise each day. However, it just didn’t feel like that at all. You naturally take things a lot easier than you would on a single stage race, the rest in between stages makes a massive difference and I think your body just gets used to it through the course of the week. You just can’t compare it to your normal experience of running ultras. In fact, I’d find myself with 10 miles to go on a long day and think ‘if I felt this good with 10 miles left in a 50 mile race I’d be really happy!’. I found that the people around me also made a big difference to me. Most were cheery types who would point out the nice views and help pass the miles. OK, some were not and wanted another runner to offload on, especially when slightly crazed from a day of running, but you didn’t need to linger there.